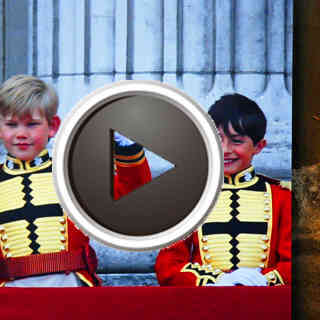 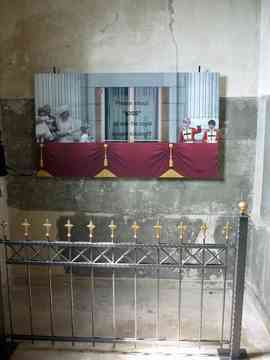 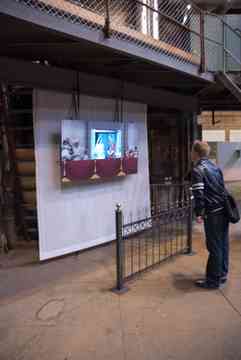 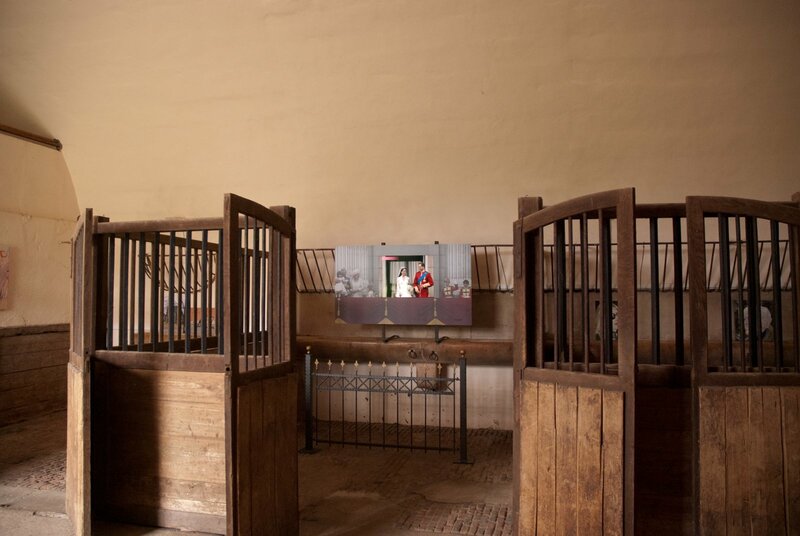 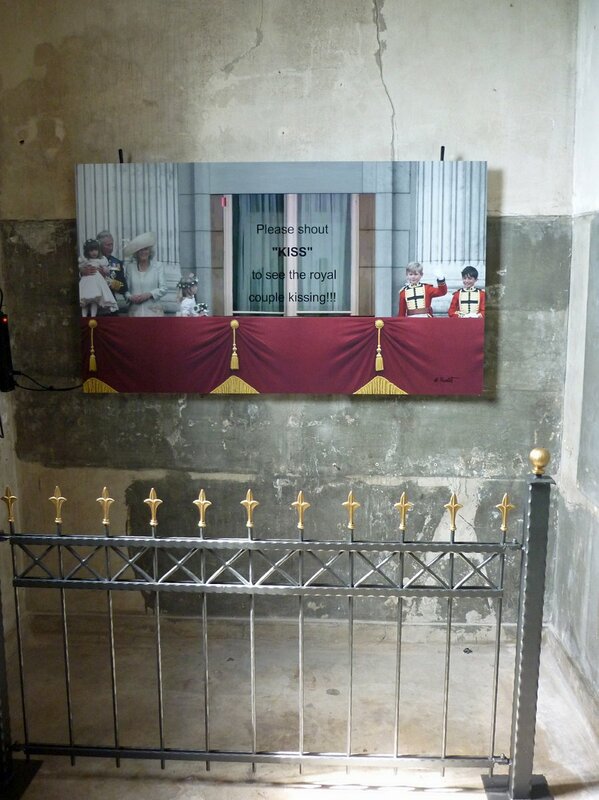 The interactive installation consists of a microphone, fence, large poster of Buckingham Palace and flat screen. 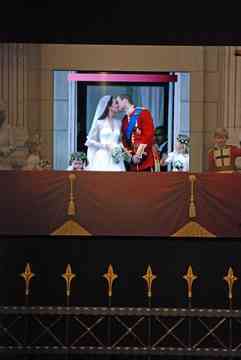 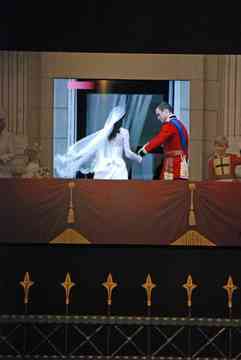 The screen plays an interactive video of the kiss from William and Kate. The louder "KISS" is screamed the closer the newly-weds get to a kiss. 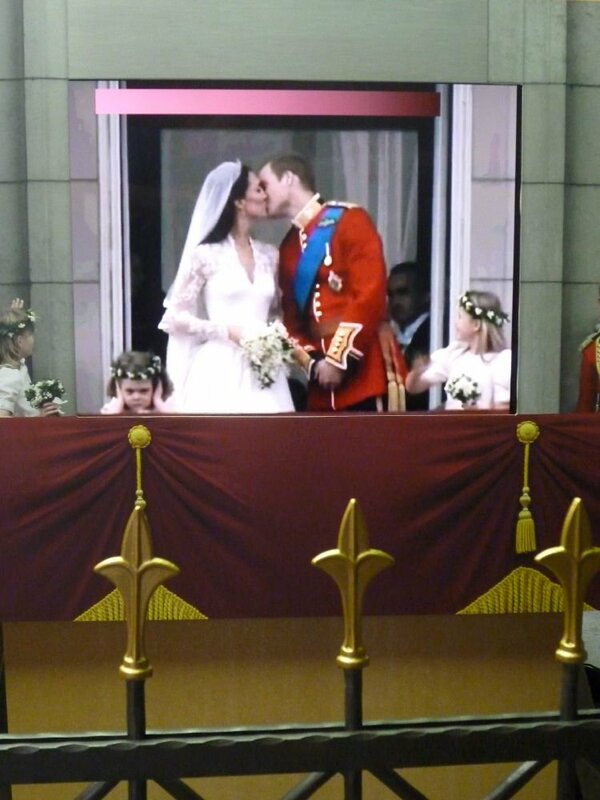 THE KISS playfully adopts the symbiosis as an interaction between people, it is easier to get the two kissing in a group. 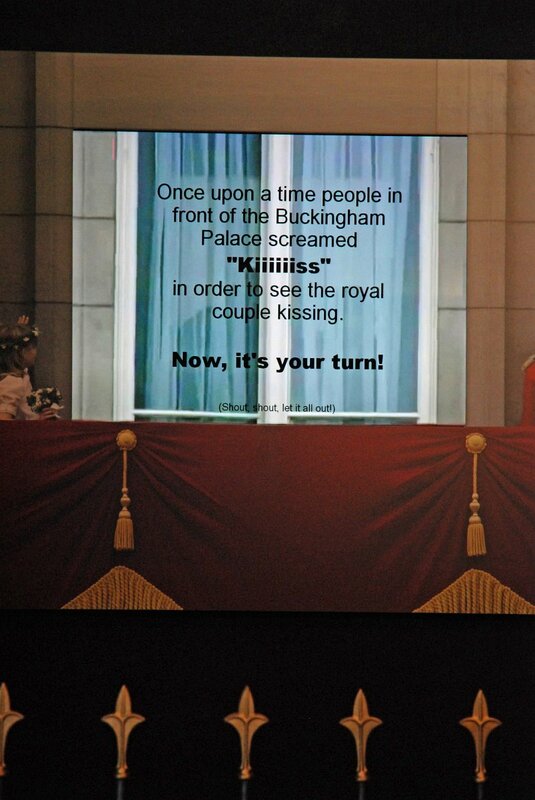 A person itself may be conceived weird or even parasitic to be shouting "KISS" in an exhibition.